2. 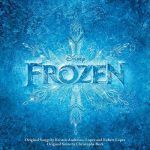 Kristen Bell, Agatha Lee Monn and Katie Lopez - Do You Want To Build A Snowman? 23. Christophe Beck - Marshmallow Attack! A nice album to be honest, it has everything for every mood. Most of the instrumental tracks are relaxing to listen to when doing some homework while the actual songs are more enjoyable to listen to than most will.i.am songs. "Let It Go" erhielt gerade den Oscar - der Rest ist auch in Ordnung. I view this album in two parts. The first is obviously the songs from the movie, and those I quite enjoy. The vocals aren't always perfect, but they do fit the mood of the tracks and presumably the movie, which I have not seen. I generally enjoy Disney movie songs and these are no exception. They're mostly enjoyable fun.<br><br>The second part of this soundtrack is all the instrumental songs, which I have assumed is basically the score of the movie. Normally I wouldn't have even bothered listening to a movie score, however it's part of the soundtrack so I had to to review it. I was surprised to enjoy it as much as I did; I thought it would be inoffensive and dull. And at times, the tracks didn't stand out, but as they built to what I'm assuming was the movie's climax, the increased drama really did come through in them. I won't be going out of my way to listen to more movie scores, nor would I listen to this second part of the soundtrack often if I did buy it, but I enjoyed listening to it.<br><br>All in all, it was an enjoyable soundtrack. I almost feel like I've seen the movie now, and certainly I've heard it all, aside from most of the dialogue! Quelques jolies chansons sur la BO de ce 53e "classique Disney". Disney heeft de prinsessenmusical nog een kans gegeven en hoe mooi is dat uitgepakt met deze Frozen. 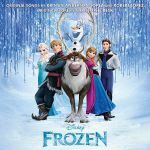 De soundtrack op zich is ook al dik de moeite met uiteraard Let It Go, maar net zo goed andere fijne nummers.